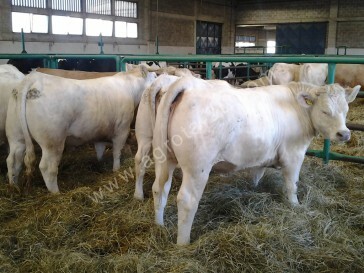 Charolais cattle originates from one of the lines of Middle Eastern European cattle of the Jurassic period, and it became famous in the Never region, middle of France. 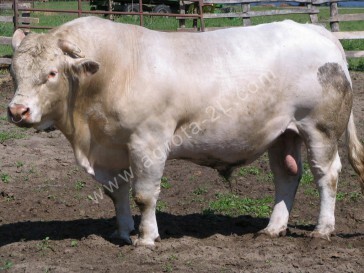 It is a large sized, powerful breed. 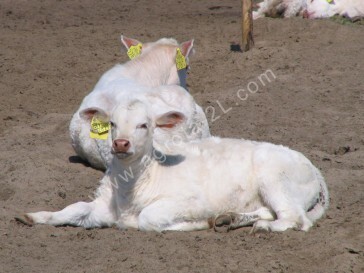 Its hair is single coloured white or fawn, the muzzle, the horns and the nails are light. 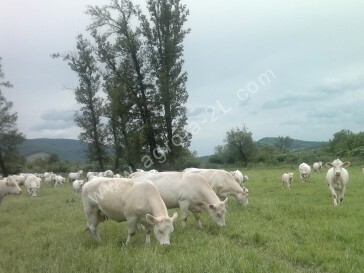 The calves already have heavy muscles. 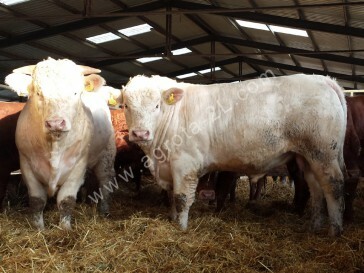 Due to the relatively high birth weight compared to that of other breeds (Simental, Blonde d`Aquitaine), calving difficulties occur more frequently. A typical feature of the breed is the extremely well developed muscular system, including the muscles of shoulders, back, loin and thigh. 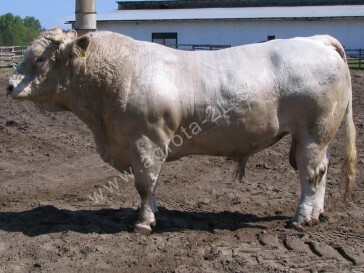 A slight flexibility of the back line as well as the strong feet are also characteristic features of the Charolais breed. 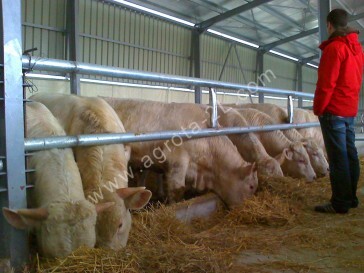 The animals calm or perhaps even lazy behaviour allows for high quantity daily feed intake and good feed conversion rates, still they show a low predisposition to accumulate too much fat in the valuable carcass parts. 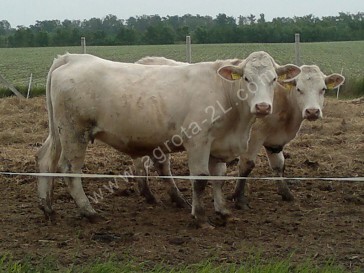 A part from straight-breeding it is suitable to be involved in cross-breeding producing farmed animals of dairy or dual purpose primarily as sires to improve beef production. 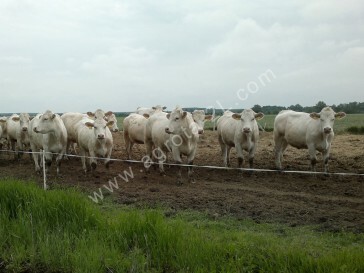 Traits like long-lasting growth, optimal feed conversion rate, high quantity beef production and good adaptability ensure the outstanding position and profitability of Charolais breed.